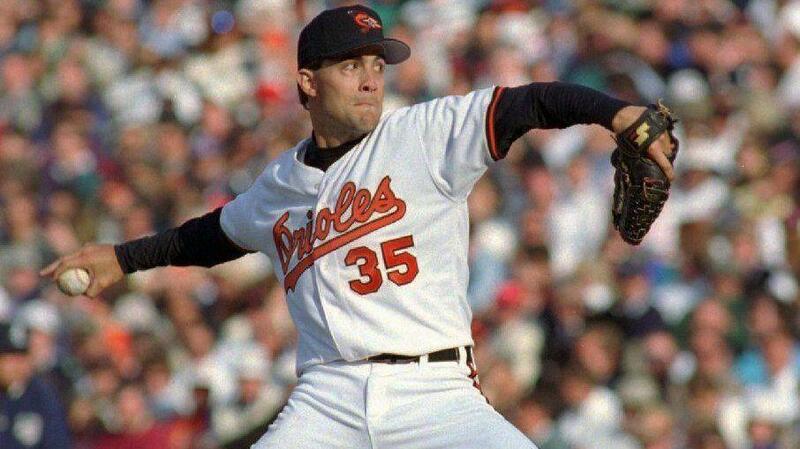 Ranking the Orioles’ Opening Day pitchers of the last 20 years. When Andrew Cashner takes the mound on Opening Day this Thursday, he will become the 14th Oriole pitcher to get the call for the first game in the last 20 years. Despite the fact that the Orioles were not a good team for most of those years, the club is 15-4 (pending Thursday’s result) in the first game of the season. How does Cashner stack up against the previous Opening Day starters of the last twenty years? Read on to see our rankings. #14 – Sydney Ponson, 2004. The season began with a 7-2 victory over the Red Sox, but went downhill afterwards. Ponson had a career 91-113 record with a 5.03 ERA. He was 73-85 with a 4.86 with the Orioles. 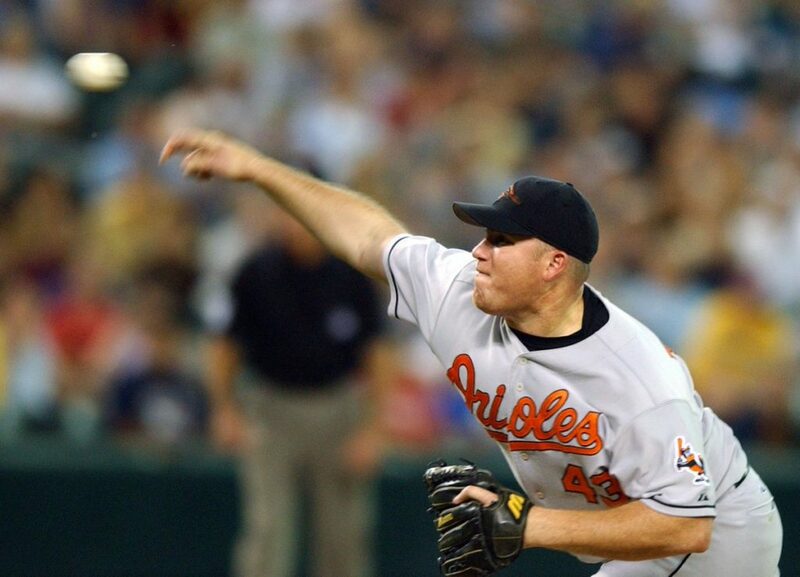 During the 2004 season, Ponson posted a 5.30 ERA and was released by the Orioles in 2005 after his second drunk driving arrest. #13 – Rodrigo Lopez, 2003, 2005, 2006. Lopez went 2-0 in his Opening Day starts, and the Orioles won all three of the games he started. Lopez went 81-89 in his career with a 4.82 ERA. With the Orioles, he was an underwhelming 60-58 with an ERA of 5.08. Lopez went on to play for six more teams before calling it quits in 2012. #12 – Scott Erickson, 2002. 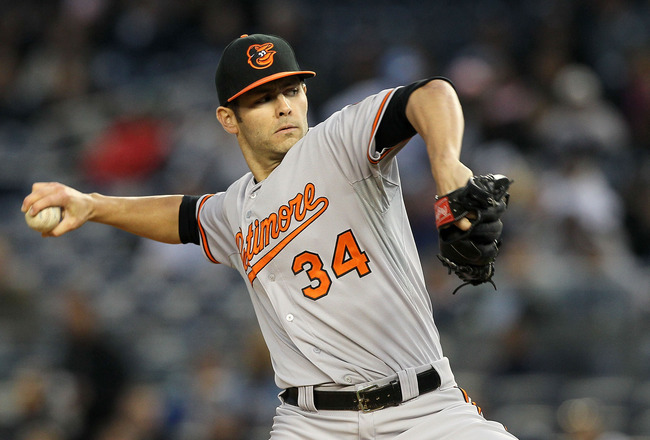 The Orioles won Erickson’s lone Opening Day start 10-2 against the Yankees at Camden Yards. Erickson was a 4.59 career pitcher with a record of 142-136. 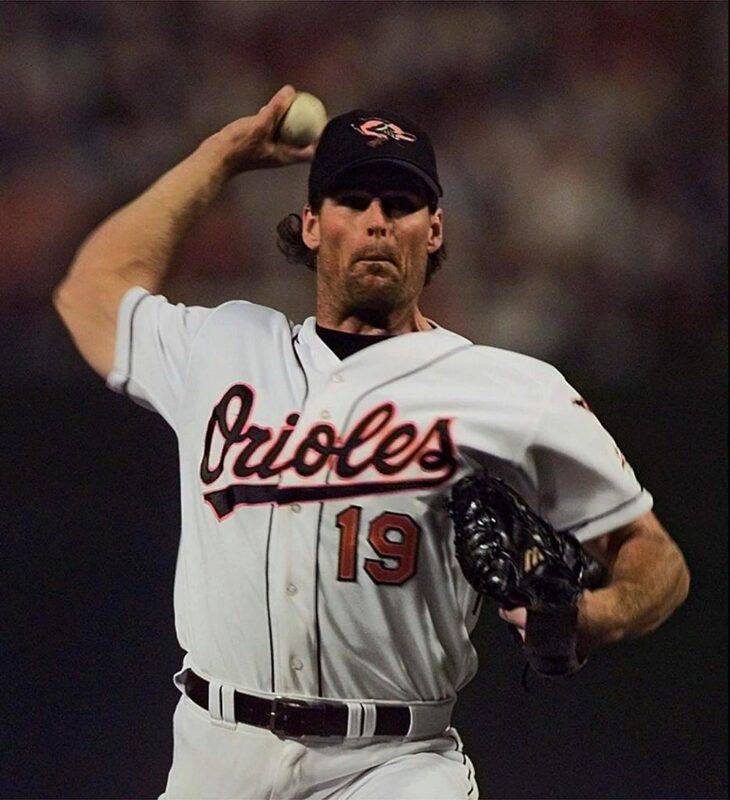 During his seven seasons with the Orioles he went 79-68 with a 4.73 ERA. 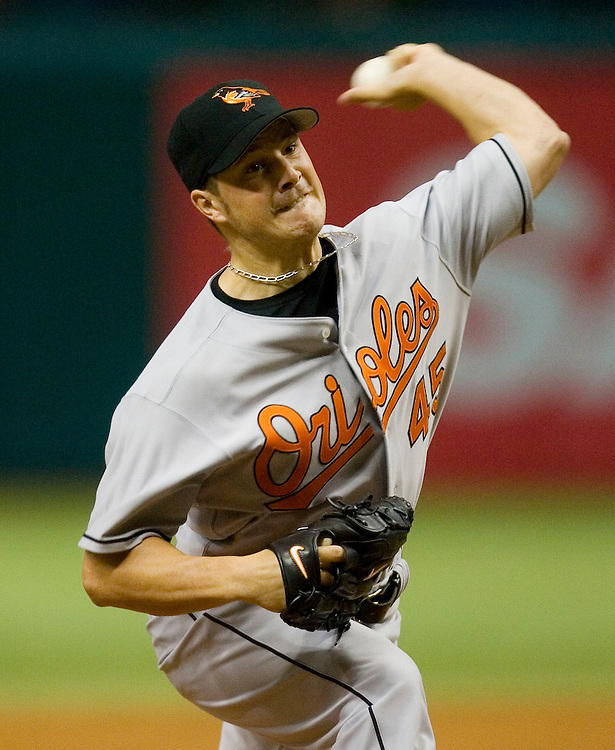 Erickson missed the season prior to and the season after 2002 with injuries and bounced around to five teams after leaving the Orioles before retiring at the beginning of the 2007 season. #11 – Kevin Millwood, 2010. 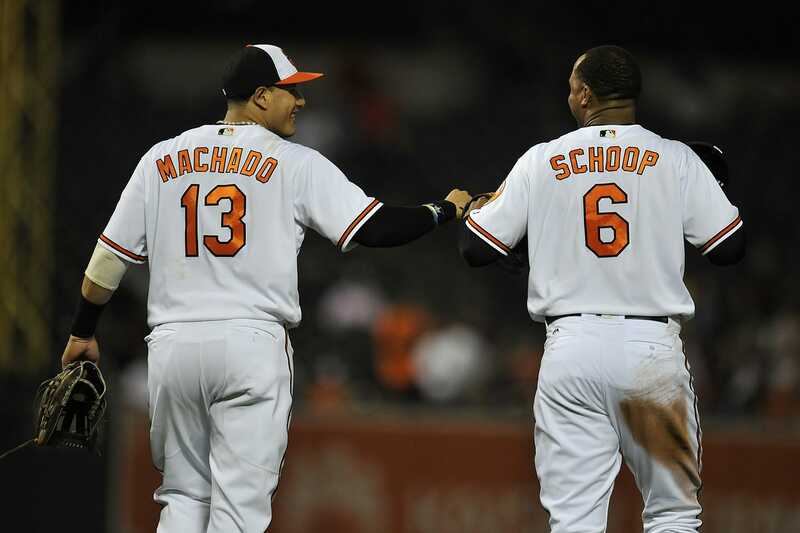 Millwood took a no decision in the Orioles’ 2010 Opening Day 4-3 loss to Tampa Bay. While Millwood had a career ERA of 4.11, his only season in Baltimore was less than impressive as he went 4-16, leading the league in losses with an ERA of 5.10. 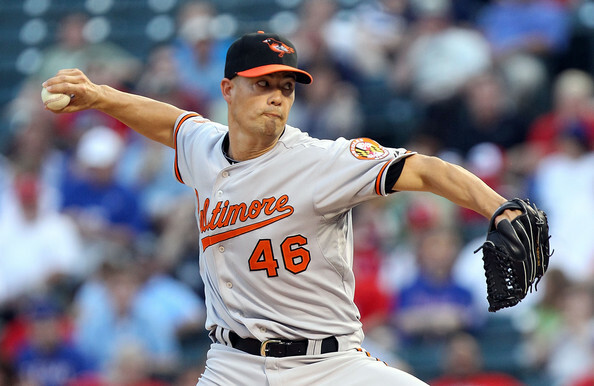 The Orioles were Millwood’s fifth stop in his career, while bouncing around to four others before retiring in 2013. #10 – Pat Hentgen, 2001. 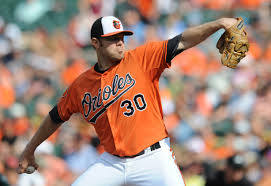 The Orioles won Hentgen’s only Opening Day start 2-1 against the Red Sox as he took a no decision. The game ended in the 11th inning with a walk-off RBI from Brady Anderson. Hentgen went 131-112 in his career with an ERA of 4.32. 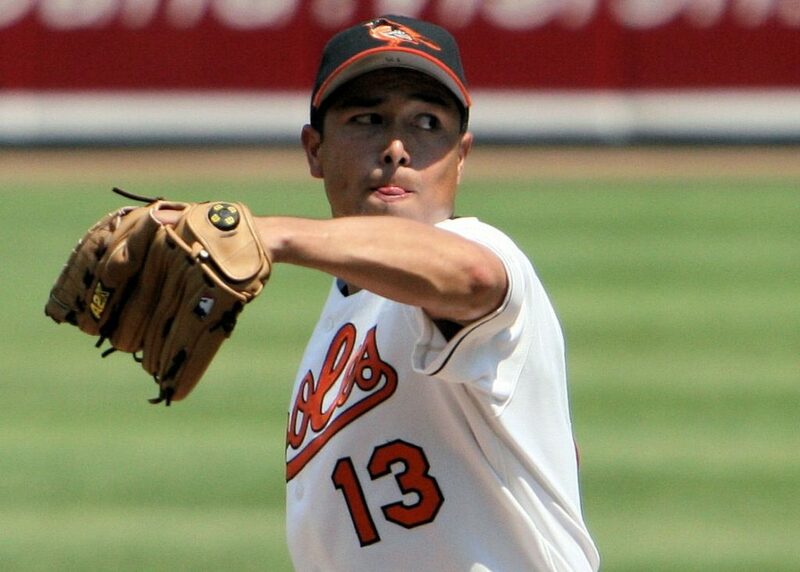 With the Orioles, he was 9-15 with an ERA of 4.26 during three injury-filled years. #9 – Andrew Cashner, 2019. Andrew Cashner is getting the Opening Day start for the Orioles this season due to an injury to the original starter, Alex Cobb. Cashner has a lot to live up to, given the Orioles’ success on Opening Day in recent history. Cashner has a career ERA of 4.02, but struggled with the Orioles last year, posting a 5.29. #8 – Jeremy Guthrie, 2008, 2009, 2011. Guthrie went 2-1 in his three Opening Day starts with the Orioles. Guthrie’s career era was 4.42, but he performed much better with the Orioles going 47-65 with a 4.12. 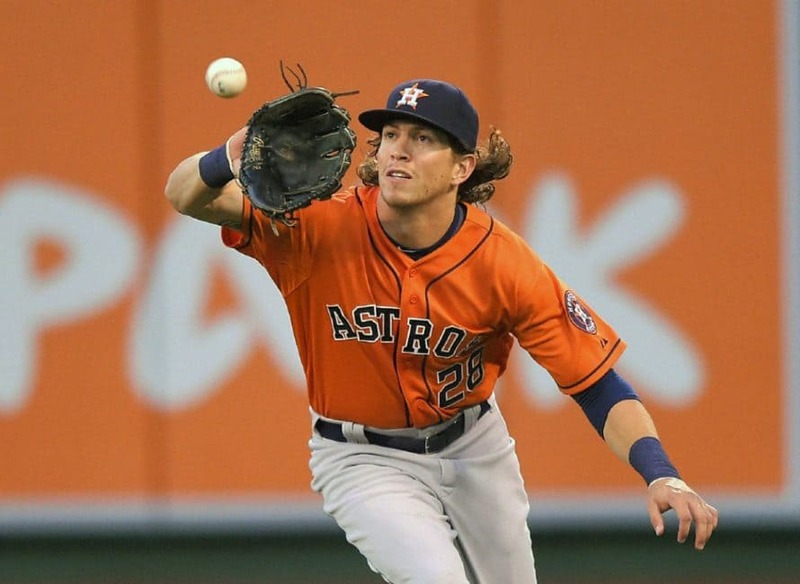 Guthrie played for six additional major league teams after being traded by the Orioles in 2012. He also spent time playing in Australia and Mexico before retiring in 2017. #7 – Jason Hammel, 2013. 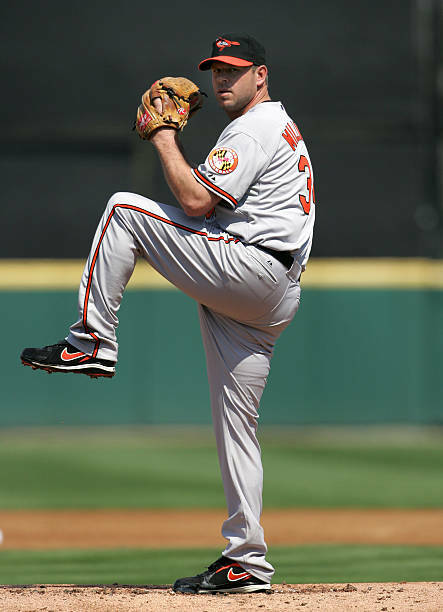 Before Tillman’s three-year run, Jason Hammel grabbed a 4-3 win over Tampa Bay in 2013. 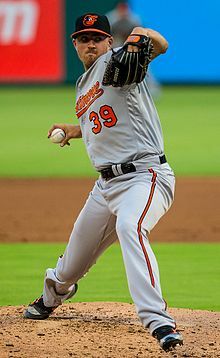 Hammel came to Baltimore from Colorodo along with Matt Lindstrom in a trade that sent fellow Opening Day starter, Jeremy Guthrie, to the Rockies. Hammel has a career ERA of 4.62 but went 15-14 with a 4.27 with the Orioles. Hammel bounced around to three other teams before announcing his retirement this Saturday. #6- Jake Arrieta, 2012. Jake Arrieta won his only Opening Day start against the Twins, 3-2. Arrieta’s story is well known to Orioles fans as he had a 20-25 record with the club, posting a 5.46 ERA, only to go on to the Cubs and pitch to an ERA of 2.73 while also winning a Cy Young Award. 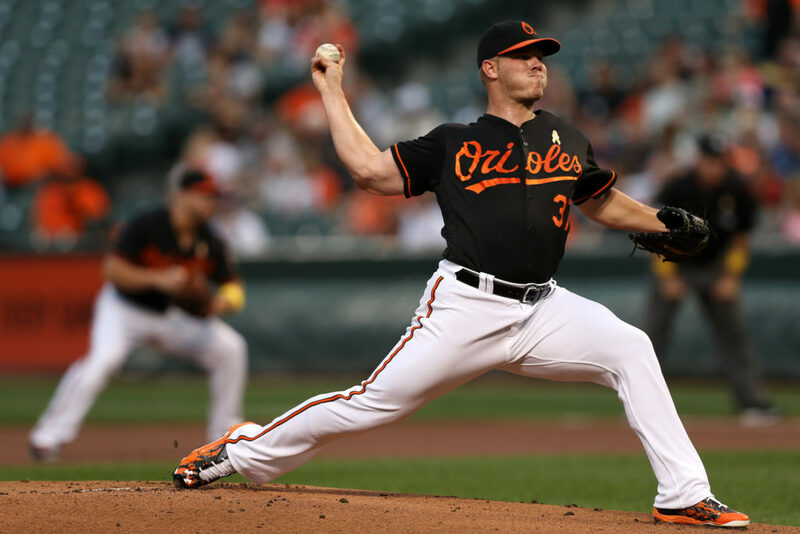 #5 – Dylan Bundy, 2018. Bundy took a no decision in last year’s exciting 3-2 win versus the Twins. Fans are still waiting for Bundy to live up to his lofty expectations and improve on his career 31-31 record and 4.63 ERA. Maybe this is the year. #4 – Kevin Gausman, 2017. Gausman is another arm in a long line of young Oriole hurlers that never quite reached their potential in Baltimore. Gausman took a no-decision in a 3-2 victory over the Blue Jays. Last year, he and his career 4.22 ERA were traded to the Braves, where he pitched to a 2.87 ERA. #3 – Chris Tillman, 2014, 2015, 2016. For a period of time, Tillman was the Orioles’ de facto ace before the wheels fell off in 2017. Tillman went 3-0 in Opening Day games for the Orioles. 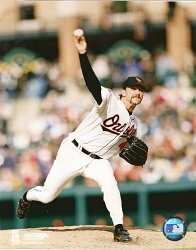 Tillman posted a 74-60 record with the Orioles with a 4.57 ERA. He was designated for assignment in July of 2017 and has not pitched in the majors since. #2 -Erik Bedard, 2007. Bedard took a loss in his Opening Day game, but his career was better than most of the team’s Opening Day starters recently. 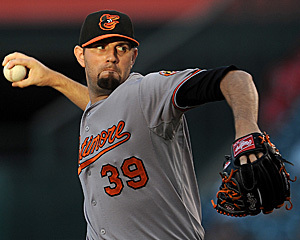 Bedard has a career 3.99 ERA, including a 3.83 ERA with the Orioles. He went 40-31 in his time with the club, even though the team was not very good. Bedard went on to play for five more teams before retiring in 2014. The last 20 years have not provided the team with an abundance of fantastic pitchers for the Orioles to choose from come Opening Day. 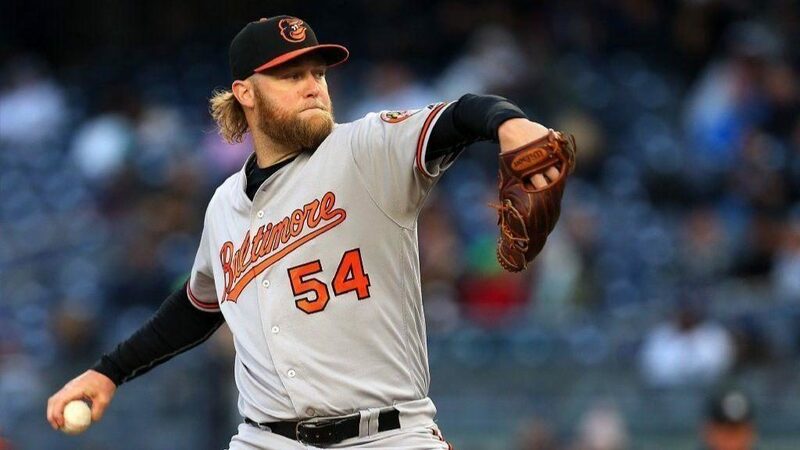 Fans are hoping that Andrew Cashner can continue the winning tradition that the recent teams have established on Opening Day when the Orioles take on the Yankees at 1:05 P.M. in the Bronx. Previous story Will Colt McCoy be ready for the Redskins’ offseason workouts?